A home is quite likely one of the biggest purchases of your life and you want to make sure that you know what you are buying. While the home may have looked perfect to you, there may be underlying issues that are only visible to a trained eye. For this reason, it is important that you include a home inspection in the conditions of your offer. You should never judge a book by it’s cover and the same is true for home buying. Typically, when you find a house you love, your Realtor will draw up an offer, referred to as an Agreement of Purchase and Sale. This document will outline everything from the dollar amount of the offer, closing date, deposit, inclusions, as well as conditions. Conditions are items that must be completed in a set amount of time to make the deal firm. 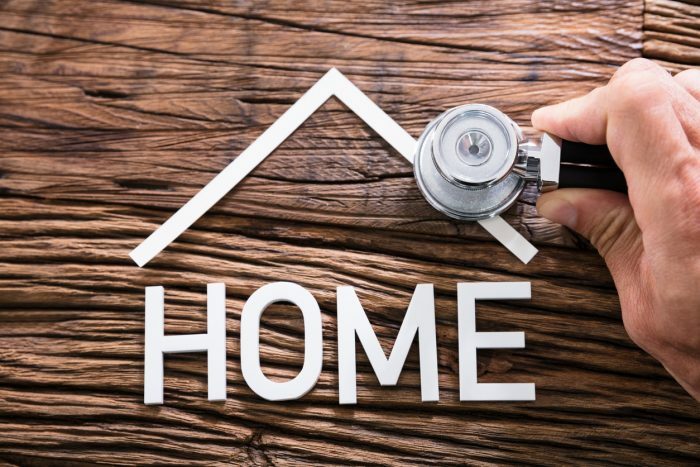 In most cases, the conditions are for the benefit of the buyer and include things like securing financing and insurance and, of course, a home inspection. This will allow you to ensure that you know what you are buying and if you choose to back out at this stage, your deposit will be returned to you in full. The cost of the home inspection is the responsibility of the buyer, no matter the outcome. The price may vary depending on the size of the home as well as the inspector. Treat this as an investment in ensuring you know what you are buying. Most people would rather spend hundreds of dollars and choose to walk away, then lose thousands down the road when a large problem is discovered. There are many home inspectors out there and it is always best to find one that comes well recommended. Ask friends and family who may have recently purchased a home or your Realtor will likely have a list of preferred partners that they know and trust. Home inspectors will examine the property from top to bottom for visible defects. Their main focuses include the roof, ventilation and HVAC, fireplaces, electrical, plumbing, foundations, structure, and appliances. Their only limitations are things that can’t be seen (behind walls) but many issues have signs that can be detected. If possible, try to attend the home inspection so that you can see first hand what the inspector notes. A good home inspector will not only guide you through the home but they will also provide you with a detailed document of their findings. The time spent for the inspection varies depends on the size of the property but it can take hours. Remember, the longer it is, the more thorough it will be. Most home inspectors will find something that is wrong with the home; they are paid to be picky so don’t be discouraged right away. If it’s minor, you may choose to ignore it and move forward with the sale of the home. If you find something more significant, you may want to reconsider the deal. If it is something that is fixable but somewhat costly, work with your Realtor on a solution; you can request money off the sale price of the home to account for the repairs or you can request that the sellers resolve the problem before closing. In most cases, you will be able to work out a deal with the Sellers that is fair to all, but keep in mind they must agree as well. If the problem is too large or the Sellers choose not to budge, you can back out of the deal at this point and have your deposit returned in full. Some savvy sellers are choosing to get an inspection before putting their home on the market. If you don’t like the element of surprise, this may be a good idea for you. This way you will know ahead of time what the issues in the home might be and you can choose to have them fixed or price the home accordingly.